Add an essential year-round piece to your wardrobe with these Rustler Men's Regular Fit Straight-Leg Jeans. They are made of strong 100 percent cotton designed for long-lasting wear and have been crafted to a heavyweight denim fabric for unrivalled durability. These cotton jeans feature an authentic double-stitched four-pocket styling that has survived the test of time. These jeans fit at the waist and neatly extend through the thigh and leg, providing excellent comfort. Additional features include five belt loops, a zipper fly and a single button closure. Available in a range of sizes, the men's straight-leg jeans have been tailored to a regular fit and come in multiple colors including stonewash, black and denim. They can be worn with tee shirts and tennis shoes or with a button-down shirt and jacket and dress shoes for a more contemporary look. 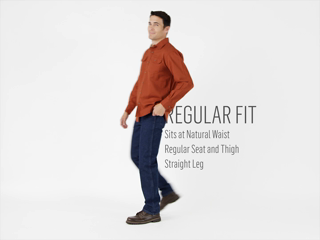 Tough yet comfortable, these Rustler men's jeans are easy to care for and maintain. Don't change a thing about these jeans. I have worn these for years. I am old and poor so this price makes me happy. They wash and wear well. Good sturdy construction all around. 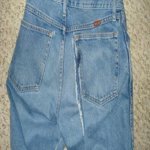 I have been purchasing these Rustler jeans for my husband for many years and the price has never gone up. I can honestly say he has been very happy with the fit and quality of the jeans. This time we were unexpectedly surprised to find out that two of the belt loops were no longer placed on the pants. Why they have decided to eliminate two of the belt loops is not understandable, and is very disappointing because l believe it affects the way your pant stay up on your waist. 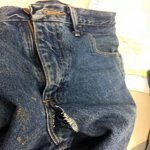 My husband was upset and very disappointed about this and now he feels he will no longer be purchasing the Rustler jeans. We had to take them to a tailor to have the additional loops put on the jeans. Please reconsider the elimination of the loops so you can make your customers happy. 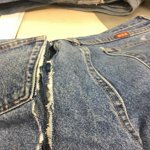 By the way we have always purchased seven pairs at one time and hope Rustler will fix the problem so we can continue to purchase the jeans. I love these jeans because of their price and durability for everyday use. They can handle being in the woods without getting torn up too much and still look good enough for the Sunday go-to-meetin's. My only complaint is that the sizing is not true to form. I have bought 32" 33" and 34" and there does not seem to be consistency in the sizing. The 34" literally fall off of me and yet I can barely breath in the 33". That being said, I have some 32" that fit better than the 33". That would be my only complaint. I usually wear wrangler or rustler. I ordered the the size indicated on the same type rustler jeans I'm presentily wearing. The 34's ( waist)( 3 pairs)were more like 32's....disappointing to say the least since my location prohibits me from returning them.....As far as the product itself is concerned , its good stuff. just make sure you try them on first. I ordered 3 pr of wranglers at the same time 34 waist also ....they were right on the money size wise. Buy them in the store so you can try them on !! All the Rustler jeans I have ever bought had seven belt loops, that is why I like them. My online order came and only one pair fit and the others were way too small even thought they all were tagged as same size ? None of them had seven belt loops ? 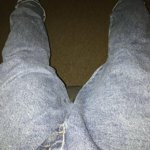 I went to Wallmart to exchange them and in the store, all Rustler jeans had seven belt loops ? I exchanged two of the three jeans and got ones that fit. RIPPED 13 PAIRS in 90 days!!! Fabric has MAJOR Quality issues! NEED PRODUCT RECALL!!! All rips in the exact same arrea - next to the zipper or back pocket and in some cases both! Had to return all of them!! 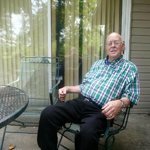 I see other reviews mentioning rips. WALMART - this is costing you MONEY!!! I've been buying black Rustler jeans for my husband for years. That's all he wears to work everyday. In less than a month the last three jeans I bought for him the back pocket that he keeps his wallet in starts to rip at the bottom of the wallet. In all the years I've been buying them for him this never happened before. All I can think is they are using a thinner material for the pockets now. I won't be buying Rustler Jeans for him any longer. Thought these were such a bargain at first and bought two pair. 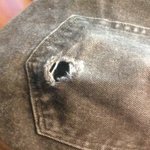 After wearing them 10 or 12 times small holes started to develop on them, where the corners of the back pockets are sewn to the jeans. eventually the jeans just suddenly ripped, straight down the back of my back side, when I went to sit down. Fortunately this happened at home. Had it happened in public... well you can only imagine! The jeans 'appear' to be made of your standard 14oz cotton but I have reason to believe they might actually have some kind of paper woven into the material, causing them to react this way! A cleaver CHEAP way of manufacturing a low-cost denim, I guess.